The Metro Phoenix Highway Patrol Bureau is committed to promoting the safe and expeditious use of the highway transportation system. Impaired drivers on metropolitan freeways pose a threat to the safety and well being of the citizens of the State of Arizona. The Metro DUI Enforcement Unit was created to specialize in the detection, investigation, and arrest of alcohol and/or drug impaired drivers. The DUI Enforcement Unit consists of one sworn sergeant, six sworn officers, and one civilian employee. The unit is dedicated to not only the arrest and prosecution of drug and alcohol impaired drivers, but in assisting other Highway Patrol officers with DUI investigations. This assistance includes, but is not limited to, drug recognition evaluations, phlebotomy, hospital follow up, collision investigation, and search warrants. 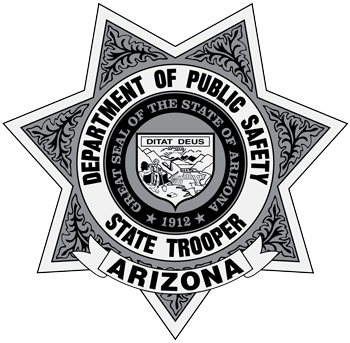 In 2004, the DUI squad arrested 1014 of the 7561 impaired drivers arrested by the entire Arizona Department of Public Safety. This arrest total by one highly motivated squad accounted for 13% of the total DUI arrests at DPS in 2004. In addition, the squad completed 51 Drug Recognition Evaluations (DRE), drew blood for law enforcement purposes on 141 individuals, and provided 1744 hours of training instructor time. Each squad member is certified in Standardized Field Sobriety Testing (SFST), and Law Enforcement Phlebotomy. Most of the officers are certified DRE’s. In 2004, 526 impaired drivers were processed through the DUI Squad’s DUI Mobile Van. The DUI Enforcement Unit operates a DUI mobile processing van that supports Metro Phoenix Highway Patrol officers, other Highway Patrol districts, and local police agencies. The DUI van program has assisted in processing 5300 impaired drivers since its inception in 1996. The DUI Enforcement Unit regularly joins forces the Metro Highway Patrol officers and eleven other police agencies of the East Valley DUI Task Force to remove impaired drivers from Arizona Streets. During a 17-day period in November and December of 2004, the East Valley DUI Task Force made 1,694 DUI arrests, and the Arizona Department of Public Safety was responsible for 249 of those arrests. To identify and investigate drug and alcohol impaired drivers, and provide support to Highway Patrol, local and county agencies through training and logistical support. Officers of the DUI Enforcement Unit teach at the Arizona Department of Public Safety Advanced Basic Academy, training new officers in the detection of impaired drivers, as well as procedures for successful investigation and prosecution. Officers in the unit also teach advanced officer training in the areas of Law Enforcement Phlebotomy, Drug Recognition, Horizontal Gaze Nystagmus, and Standardized Field Sobriety Testing. This training is for Highway Patrol Officers, as well as personnel from county and local jurisdictions.